Our service-entrance rated transfer switches include a 200 Amp utility main. Designed to mount on the outside of a house or building next to the utility meter, it connects to the load center indoors via subfeed lugs. 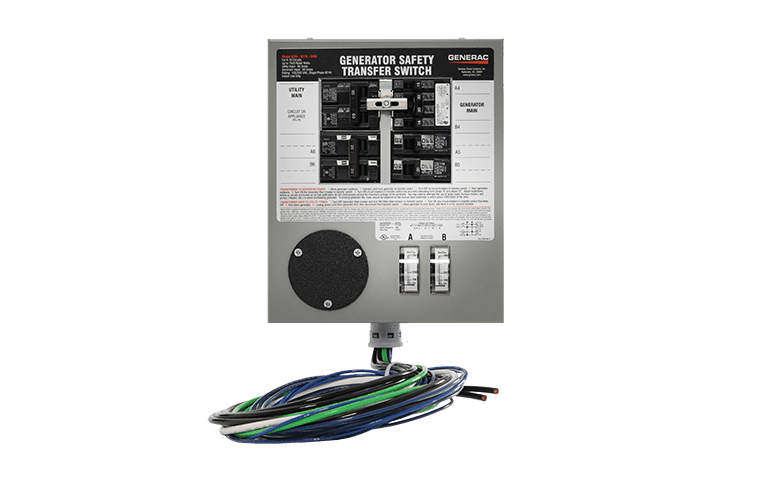 Instead of connecting just a few circuits, this transfer switch allows you to feed generator power to your entire load center and manually turn off selected loads up to the capacity of the generator. Includes locking plug for quick generator cord connection and extra spaces for up to 12 branch circuits to feed other panels like a barn, detached garage, or workshop. Service Entrance Rated in USA only. Select-circuit transfer switches allow you to choose 6 to 16 select household circuits to power during an outage. If your needs change and later you choose to power more, your installer can easily expand the transfer switch by just adding more circuit breakers. Ideal for powering your furnace blower (gas or oil only), refrigerator and kitchen circuits, well pump, water heater, lights, security system, garage door opener and television. The enclosure can be surface or flush* mounted indoors next to an existing electrical panel in a basement, interior room or garage. Accommodates Arc fault and GFCI breakers to meet current code requirements. Wattmeters help you balance generator loads to prolong engine life. UL Listed in USA and Canada. * Model 6376 enclosure designed for surface mount only. Ideal for switching a service or subpanel from utility to generator power. 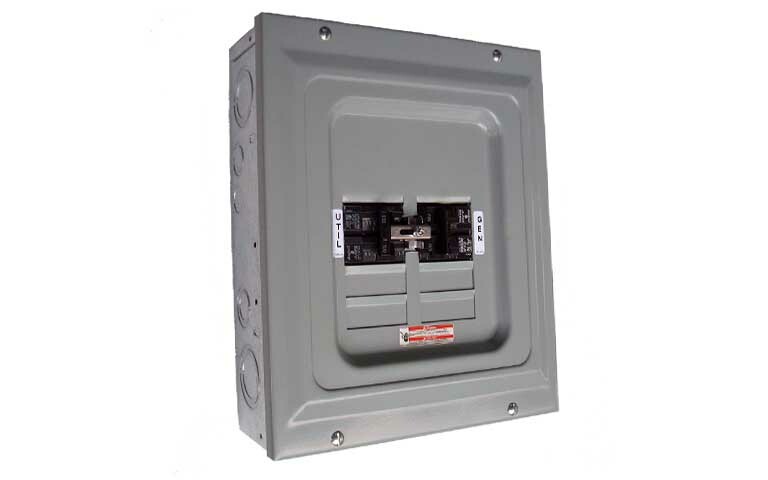 These economical, code-compliant, single-load transfer switches provide a safe way to feed generator power to a home, office, garage or farm building where the entire circuitry in a main panel or subpanel must be powered by a generator during a power outage. Compact, all-steel design isolates the generator from the utility with manual switching action. Indoor surface-mount design. UL Listed. Our 15 Amp, single-circuit manual transfer switch allows you to safely deliver power to a furnace during a power outage. It’s ideal for use with smaller generators. When the power goes out, simply plug a standard grounded extension cord into the power outlet on your generator and into the built-in plug on the transfer switch. UL Listed for US and Canada. 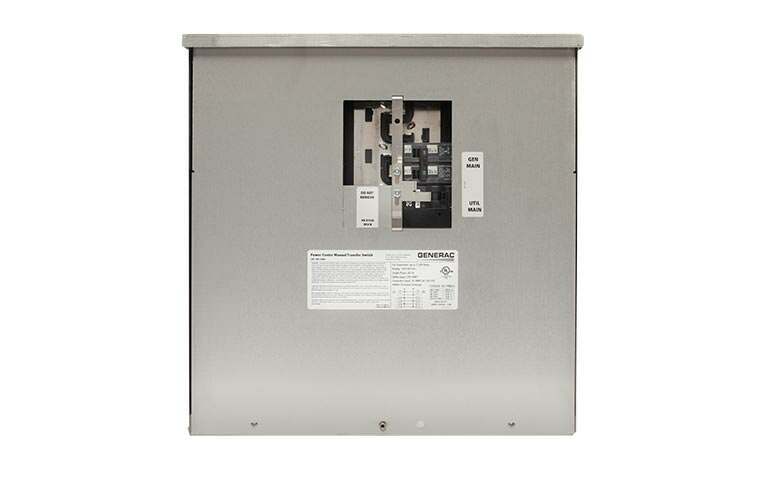 This 30 Amp transfer switch can be mounted next to the existing load center to power a single circuit such as a water heater, well pump or small air conditioner during a power outage. 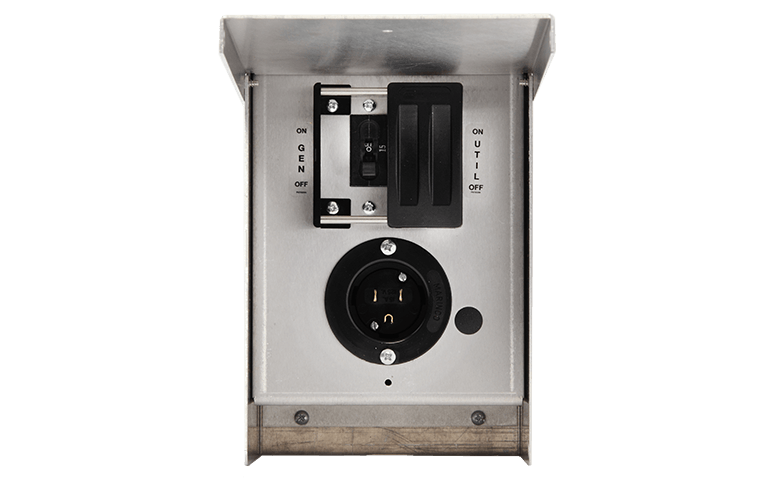 Its NEMA 3R corrosion resistant aluminum enclosure has a hinged cover for added protection from the elements. UL Listed for US and Canada.